The Kingdom of Poland existed several times throughout history. The first Kingdom of Poland from 1025 to 1385. In 1000, Poland was recognised as a state during the Congress of Gniezo by the Holy Roman Empire and the Pope. Duke Boleslaus I the Brave of Poland became its first King in 1025. Boleslaus was married four times. His first wife was an unnamed daughter of Rikdag, Margrave of Meissen. She was probably repudiated around 985. His second was probably a daughter of Géza, Grand Prince of the Hungarians, but she too was repudiated, probably after the birth of a son. His third wife was Emnilda, and they had five children together. She died before he became King. The first Queen of Poland was thus his fourth wife, Oda of Meissen. Oda was probably 30 years younger than Boleslaus, and the unhappy marriage produced just one daughter. Boleslaus died just three months into his reign as King and was succeeded by his son from his third marriage, now King Mieszko II Lambert of Poland. Mieszko II Lambert had married Richeza of Lotharingia around 1013, and they had at least three children together. Mieszko II Lambert was forced to flee to Bohemia in 1031 by an invasion of German and Kievan troops. He was imprisoned and castrated. The government of Poland was taken over by Mieszko II Lambert’s half-brother Bezprym. Richeza and her children fled to Germany. Bezprym was murdered in 1032, upon which Mieszko II Lambert returned to Poland. He was forced to divide his country but later managed to reunite it. He died suddenly in 1034. He was succeeded by his son, known as Casimir I the Restorer. He ruled as Duke, and not as King. Around 1040, he married Maria Dobroniega of Kiev with whom he had five children. Upon his death in 1058, he was succeeded by his eldest son, Bolesław II the Generous, who managed to get himself crowned King of Poland 1076. Bolesław II had married Wyszesława of Kiev sometime before 1069. Their only child was born in 1069. He was deposed in 1079 after a conflict with the Polish nobles. His son died under suspicious circumstances. He was succeeded as Duke by his brother, now Władysław I Herman. He may have been married to a woman named, though she could also have been his mistress. They had a son, who was considered to be illegitimate. In 1080, Władysław married Judith of Bohemia. They had one son together, and sadly, Judith died shortly after giving birth. In 1089, he remarried to Judith of Swabia with whom he had four daughters. Upon his death in 1102, he was succeeded by his eldest legitimate son, now Duke Bolesław III Wrymouth. Bolesław III had married Zbyslava of Kiev around 1103, and they had two children before her death around 1114. Around 1115, he married Salomea of Berg with whom he had a further 15 children. In his will, he divided the country amongst his sons, leading to 200 years of fragmentation in the Kingdom of Poland. To ensure united, he established a rule that state that the eldest member of the dynasty should be High Duke and have supreme power over the other Dukes. The accession of Duke Władysław I the Elbow-high ended the power struggle, and he was crowned King of Poland in 1320. He had married Jadwiga of Kalisz in 1293, and they had six children together. Upon his death in 1333, he was succeeded by his son, now King Casimir III of Poland. Casimir married four times. His first wife was Aldona of Lithuania, and they had two daughters together before her death in 1339. In 1341, he married Adelaide of Hesse, but they had no children together. They were separated in 1356 and Casimir bigamously married his mistress Christina Rokiczana. He declared himself divorced in 1364. In 1365, he married Hedwig of Żagań, and they had three daughters together. This fourth marriage was possibly also bigamous, and Casimir had the pope declare his daughters legitimate. He had two sons by his mistress Esterka. Without legitimate male issue, Casimir declared King Louis I of Hungary as his heir. King Louis I of Hungary had three daughters with his second wife, Elizabeth of Bosnia. Two daughters survived to adulthood, and he attempted to secure their rights. He left the Kingdom of Hungary to Mary and the Kingdom of Poland to Jadwiga. Jadwiga married Jogaila, Grand Duke of Lithuania, which bound Lithuania and Poland together from 1385 by the Union of Krewo. 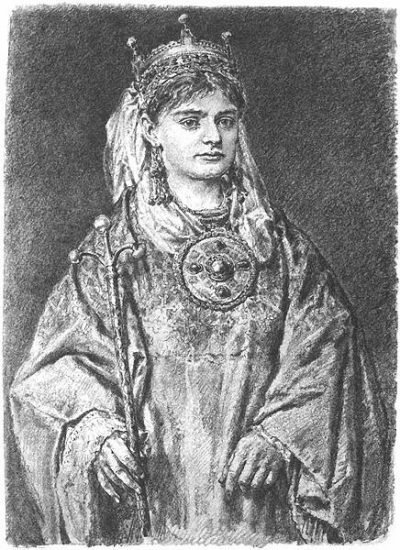 Jadwiga became Queen at the age of just 11. On 22 June 1399, Jadwiga gave birth to a daughter who lived for just three weeks. 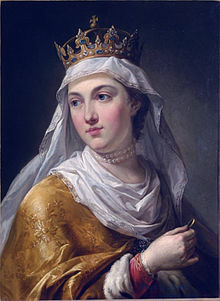 Jadwiga died four days after her daughter, just 25 years old. She was canonised in 1977. Her husband managed to hold on to power after her death and remained King of Poland. He remarried to Anne of Cilli, a granddaughter of Casimir III of Poland and they had one daughter together. 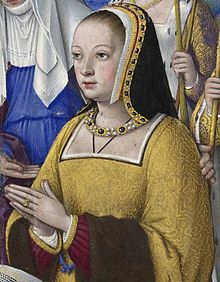 Anne died in 1416, and her husband remarried to Elisabeth of Pilica, but she died in 1420 without them having had children. His fourth wife was Sophia of Halshany. She was a teenager while he was around 60 years old. She saved the dynasty by giving birth to three sons. 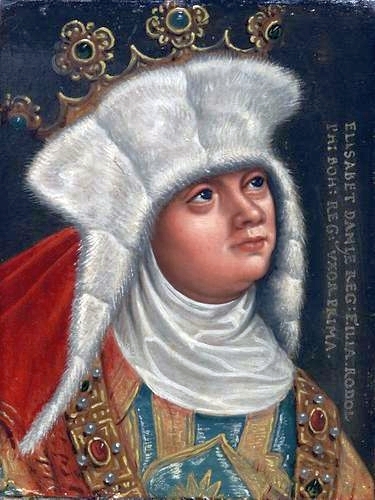 Her eldest son became Władysław III of Poland at the age of 10. Władysław III did not marry and did not have any children. He died at the age of 20 and was succeeded by his brother, now King Casimir IV after an interregnum of three years. He had married Elizabeth of Austria, and they had 13 children, though not all lived to adulthood. Upon Casimir’s death in 1492, he was succeeded in Poland by his son, now King John I Albert. He never married, and upon his death in 1501, he was succeeded by his brother, now King Alexander I. He had married Helena of Moscow in 1495, but they did not have children. He died in 1506 and was succeeded by another brother, now King Sigismund I the Old. He married Barbara Zápolya in 1512 and had two daughters by her. She died in 1515 and in 1517, he remarried to Bona Sforza, with whom he had a further six children. Upon his death in 1548, he was succeeded by his son, now King Sigismund II Augustus. He married three times. First to Elizabeth of Austria, then to Barbara Radziwiłł and thirdly to his first wife’s sister, Catherine of Austria. In 1569, the Polish–Lithuanian Commonwealth had been established by the Union of Lublin. He had no children by any of his wives, and upon his death in 1571, the Jagiellon dynasty came to an end. In 1573, the fourth son of Henry II of France was elected as King of Poland. He succeeded his brother as King of France the next year, upon which he abandoned the Polish throne. In 1576, Anna Jagiellon and her then-fiance Stephen Báthory were elected as co-rulers of Poland and Lithuania. 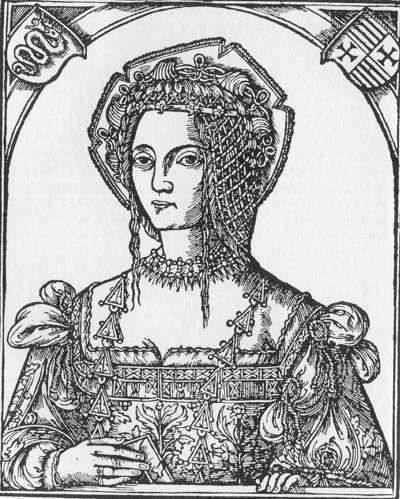 Anna was a daughter of Sigismund I the Old and Bona Sforza and was 52 years old at the time of her accession. They ruled together until 1587. In 1586, Sigismund III Vasa was elected as King of Poland. From 1592, he was also King of Sweden. That same year, he married Anne of Austria, with whom he had five children, though only one son would survive to adulthood. She died giving birth to a son. 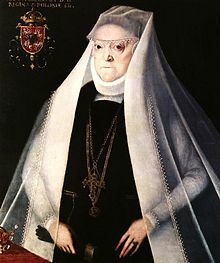 In 1605, he remarried to her sister Constance of Austria and a further seven children by her. Upon his death in 1632, he was succeeded by his eldest son, now King Władysław IV. In 1637, he married Cecilia Renata of Austria, and they had three children. All three died young, and Cecilia Renata died in childbirth. In 1646, he remarried to Marie Louise Gonzaga, but they had no children. Władysław died in 1648 and was succeeded by his brother, now King John II Casimir Vasa. He married his brother’s widow and had two shortlived children by her. She died in 1667, and the grief-stricken King abdicated the throne. In 1669, Michał Korybut Wiśniowiecki was elected King of Poland. He married Eleonora Maria of Austria in 1670, but they had no children together. He died in 1673. The next year, John III Sobieski was elected as King. He had married Marie Casimire Louise de La Grange d’Arquien in 1665, who had been a lady-in-waiting to Marie Louise Gonzaga. They had 15 children together, though not all lived to adulthood. He died in 1696. The next year, Augustus II the Strong was elected as King of Poland. He had married Christiane Eberhardine of Brandenburg-Bayreuth in 1693. They had one son together, and he also had several children by different mistresses. He was King of Poland twice, being interrupted by the invasion of Saxony, of which he was also Elector. The man who interrupted his reign was Stanisław Leszczyński, and he was elected King of Poland again after Augustus’s death in 1733. 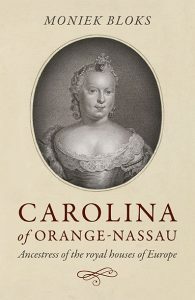 He had married Catherine Opalińska in 1698, and they had two daughters together. He abdicated in 1736, and the next elected King was Augustus III of Poland, the only legitimate son of Augustus II. The Polish-Lithuanian Commonwealth was partitioned in three stages by the neighbouring Russian Empire, the Kingdom of Prussia, and the Habsburg Monarchy. Poland and Lithuania were re-established as independent countries in 1918. By 1795, the Polish–Lithuanian Commonwealth had been completely erased from the map of Europe. 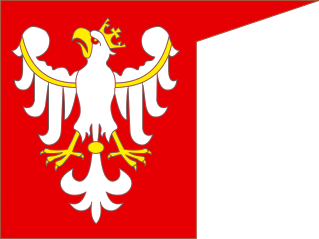 Between 1917 and 1918 there existed a puppet Kingdom of Poland of the German Empire during the First World War. During this time, the throne was vacant. Poland and Lithuania were not re-established as independent countries until 1918.